Please call (559) 641-2019 to reserve your spot & pre-order your copy! after just a few weeks at summer camp? Why do they feel less depressed, anxious, and disconnected at camp than they do anywhere else? Why are so many campers heartbroken when it’s time to go home? Veteran summer camp director Audrey “Sunshine” Monke, psychologist and parenting expert, shares what she’s learned from three decades of creating a summer camp that kids call their “happy place” and “second home,” a culture where research has proven kids become happier while gaining important social and emotional skills in just two weeks. Based on thousands of interactions with campers, camp counselors, and parents, and on academic research in positive psychology, Happy Camper introduces a framework of intentional strategies to help parents create the same kind of transformational culture that kids experience at camp. Instead of raising a generation of kids who are overwhelmed, anxious, depressed, and unable to function as independent and responsible adults, parents can create an environment at home that promotes the growth of important character traits and social skills that kids need in order to have meaningful and successful lives. 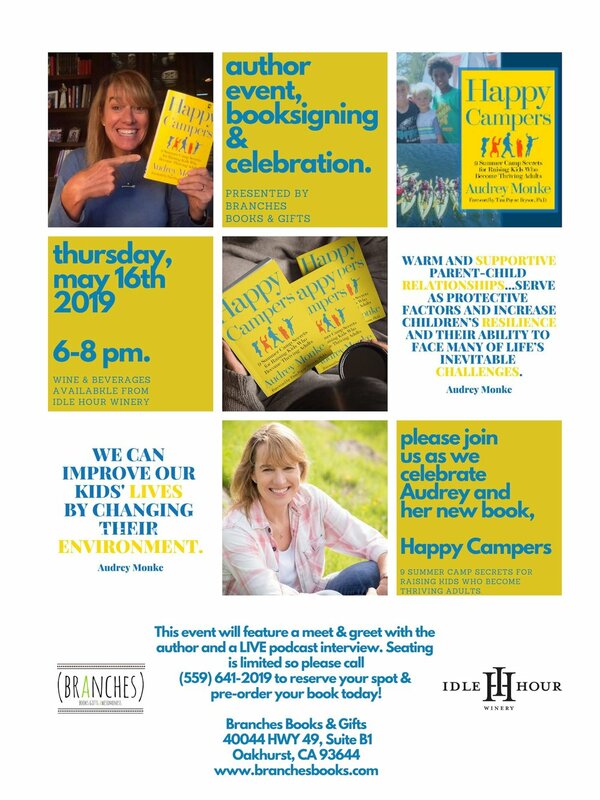 Complete with specific ideas to implement these summer camp secrets at home, Happy Camper is a one-of-a-kind resource for parents wanting to raise happy, socially intelligent, successful kids.